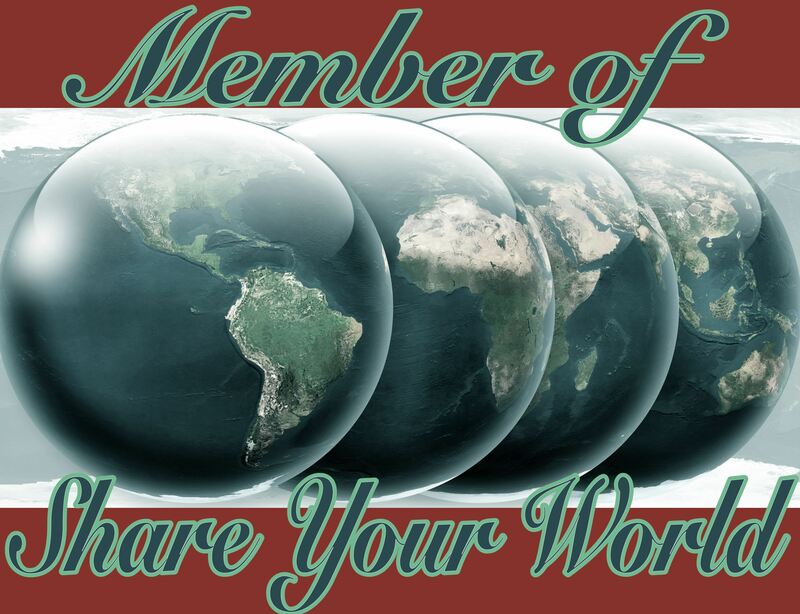 Hello, it’s that time of the week when it’s all about me in Cee’s Share Your World challenge. Pop over to her photography blog and check out her cool pictures! Hmm, kitchen, kitchen… Is that the one with the “cooker” in? Where the “food magic” happens? Just kidding. I cook! Well, microwave. I remember standing on something and helping mum wash the dishes (at least I thought I was helping). I was 5 years old and we’d just moved to a new house. I was too old to go to nursery and I had to wait a couple of months for the new school year to start, so I had time on my tiny hands! That would be my granny up in Scotland, who sadly passed away about 15 years ago. Every summer, we went up to Scotland to spend a couple of weeks with her, and every Christmas she came down to spend a couple of weeks with us. Granny’s arrival was when Christmas really started. She was a very kind-hearted person and she’s sorely missed. 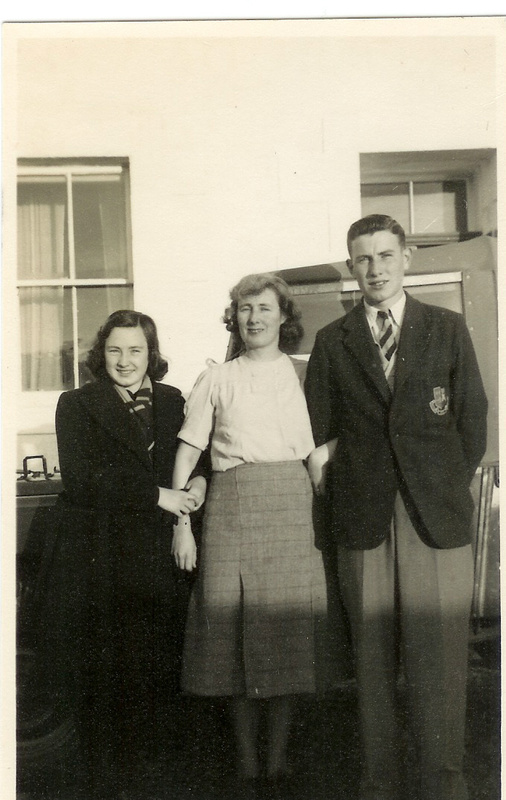 Here she is in the middle, with my Mum and Uncle, taken at Cape Wrath (Northern Scotland) in 1954. We’ll pass over the room in student residences I had in my first year at university (it was a boring, standard student-issue room – bed, desk, chair) and go straight to the house I rented in Guildford with three other students in the second year. That was way more fun! Our landlord was Iranian and as dodgy as they come. He didn’t even pay tax. He was the “agent” for the landlord, who was supposedly in Iran. Yeah, right. He used to go round to buy houses for “the landlord’s” portfolio with suitcases full of cash. He’d come round to check the house, complain about the kitchen floor, then race around with a dustpan and brush demonstrating how to clean while we all stood and watched, trying desperately not to laugh. It was hilarious to watch! Another time one of the lads had dropped tomato ketchup on the carpet and this guy came round. I had to stand on the stain and as the guy walked around the room, I just rotated on the spot to keep my foot on the ketchup. We didn’t half have some fun that year. Ah, halcyon days! I’d prefer to make a comedy spoof TV advert. It would have loads of that “but wait, there’s more, order in the next 10 minutes and…” in it. I don’t really have any interest in adverts. I record most stuff that I watch on commercial TV and fast forward through the ads. I refuse to spend an hour of my life watching something that’s only 40 minutes long. great blog with image – enjoyable and a good example! Oh yes, I forgot about my omelette skills! Spunds like you ground that ketchup stain into the carpet pretty good! We could probably have gotten it out later if I hadn’t squished it in. Thanks! I never really learned to cook either. If I want to cook something I usually just check online 🙂 I keep meaning to buy a baking tin, I’d love to try making a cake. Love this post. You’ve mentioned your granny more than once. Seems she was very special to you. The first apartment I ever rented was a room in a house when I was a student. It was in the river forelands. Most amazing spot to live close to town yet felt remote. What did not like was the ships that would pass in the night over the river. Seriously I was woken up more than once by the sound of a riverboat nearly passing my bed by the sounds of it! It sounds like it was a great place to live, apart from the overnight noise. There’s always something, isn’t there? They are lovely memories I have of her, she was such a lovely person. I must have lived such a sheltered life. I lived at home with my Mum until I married, then lived at home with my Mum for another two years until our first baby came along. Oh how I remember the wonderful times I had with my Granny and Aunty. It was much like your set up. They’d come to us for Christmas, then in the new year, I’d go and stay with them for two weeks. I had breakfast in bed nearly every morning 😀 Grannies are the absolute best. Grannies are the best! She couldn’t do enough for you. When you go off to university 250 miles away you have no choice but to leave home. If I hadn’t gone off to university I would certainly have stayed at home for who knows how many more years. Thanks so much for sharing…I enjoyed your post. That’s funny about your landlord. He was quite a character! These days, your “landlord” would come under serious scrutiny from whatever version of Homeland Security you’ve got in the UK. Sound like a suspect to me! Too many episodes of NCIS. Yeah, he was well dodgy. We don’t have any sort of Homeland Security as far as I know. I guess it would be the anti-terror branch of the police. Haha I love the sound of your agent/landlord running around with suitcases full of cash. Sounds like a perfect experience for a first house. That’s awesome, keeping your foot on the ketchup stain! Totally had that experience in my first couple of apartments as well. I think an infomercial is the way to go to. Those are just downright entertaining in the world of commercials. There’s nothing quite like an infomercial if there are no other comedies on to watch.